Many businesses use Cisco VPN as a cornerstone of their digital security provision. Through Cisco they are able to facilitate the secure transmission of sensitive data. However, when issues with Cisco VPN arise, businesses can find themselves vulnerable. Keeping a technician on payroll can be extremely costly. Fortunately, there is a solution that allows you to get instant access to the expert help you need, whenever you need it without eating into your budget. Fortunately, there is a better way! Freelance Cisco VPN Specialists needn’t come with excessive costs. Our pool of over 40,000 freelance IT engineers around 180 countries across the world is just waiting to leap into action and fix the issues which can generate holes in your security. A Freelance Cisco VPN specialist offers you all the skill, expertise and efficiency of a field technician but with none of the overheads and obligations. It’s quite literally the best of both worlds. When you hire a Freelance Cisco VPN specialist you can get connected to a highly trained and skilled professional within moments. You also get access to a range of useful capabilities including worker location tracking, worker assistance, work order management, dispatching, mobile payment, reporting and analytics. 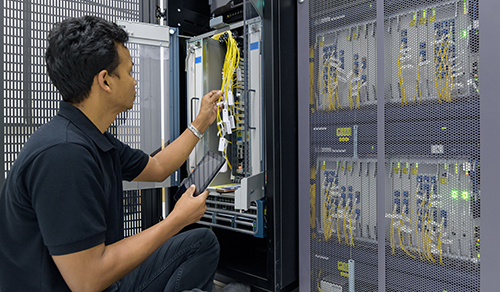 Sign up today and you can post Cisco VPN Specialist jobs whenever you need them so that your enterprise’s security need never be compromised. When you join our network you’ll be able to post jobs and find the right specialist with lightning speed and unparalleled cost efficiency. A huge pool of talent is at your disposal just waiting to service your business’ needs!